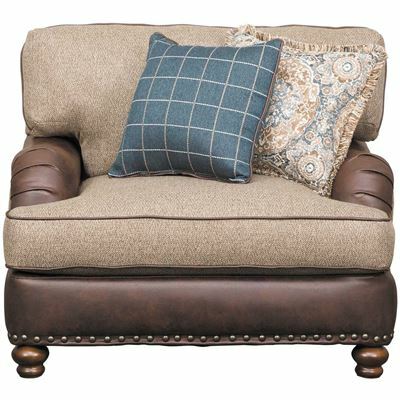 Celebrate a pairing of modern comfort and traditional style with the Brewhouse Accent Chair by Corinthian Fine Furniture. 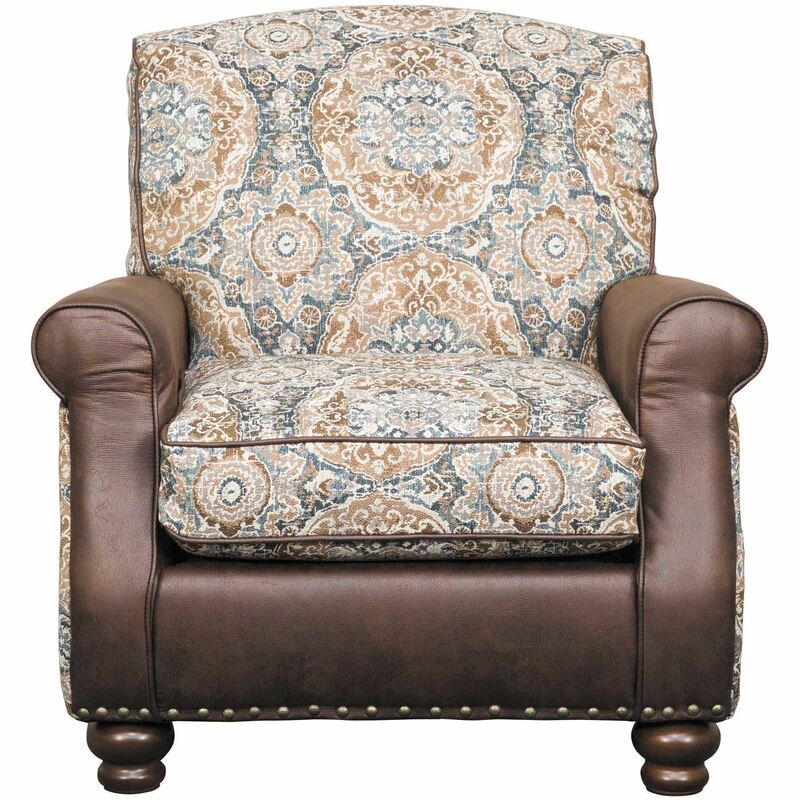 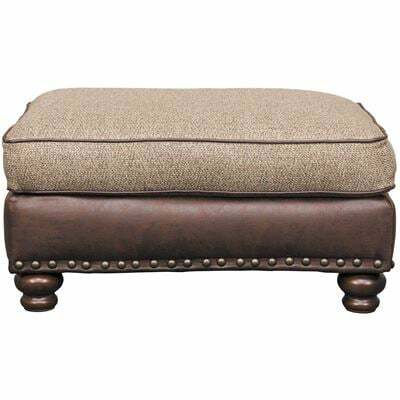 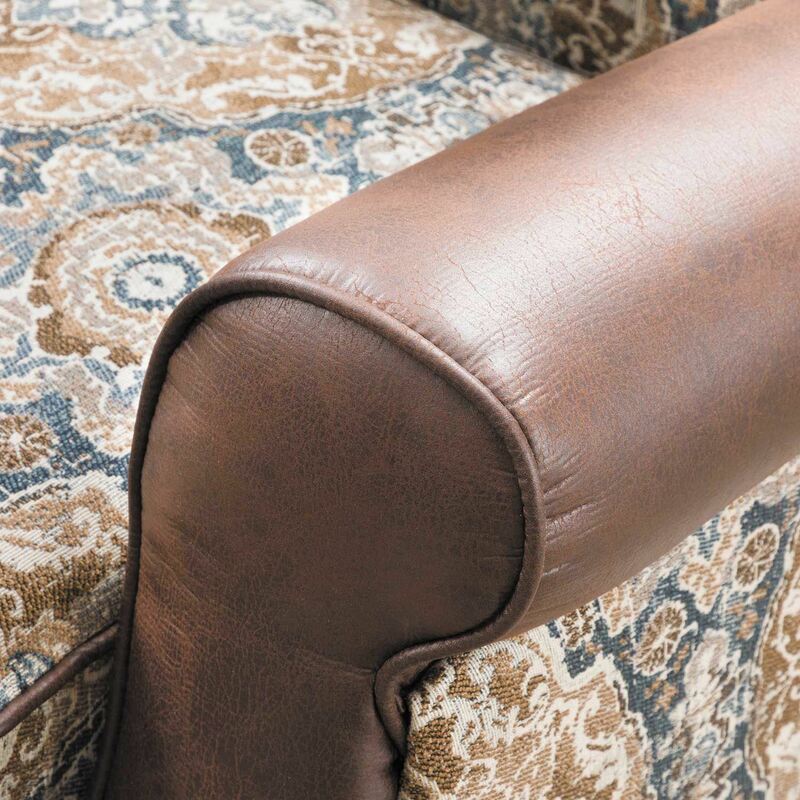 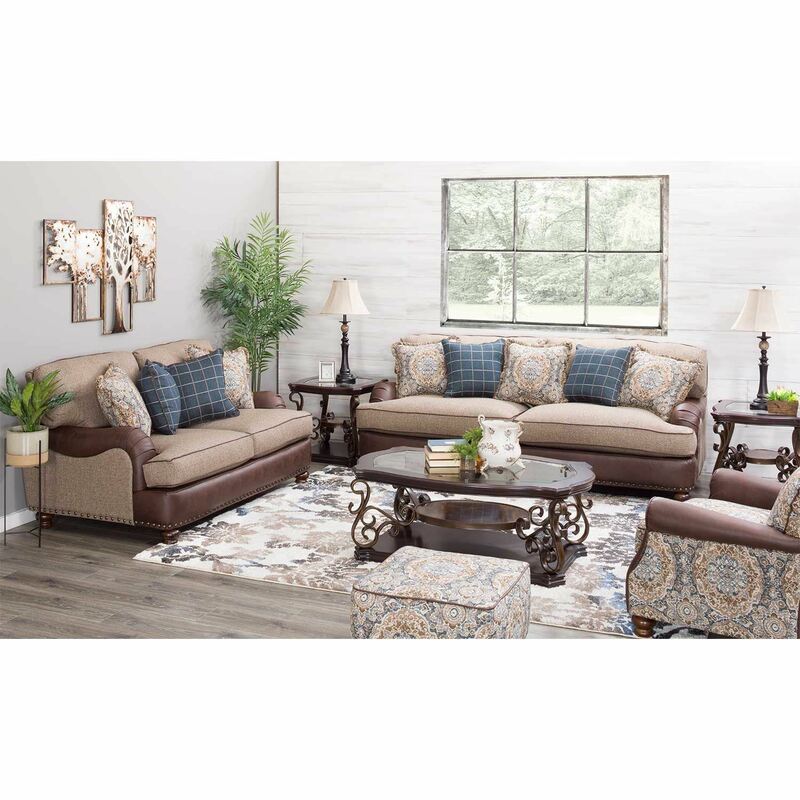 This chair blends the timeless elegance of set back rolled arms, bun feet, and patinaed brass nail head trim with the contemporary two-tone look of paisley printed fabric and chocolate faux leather upholstery. 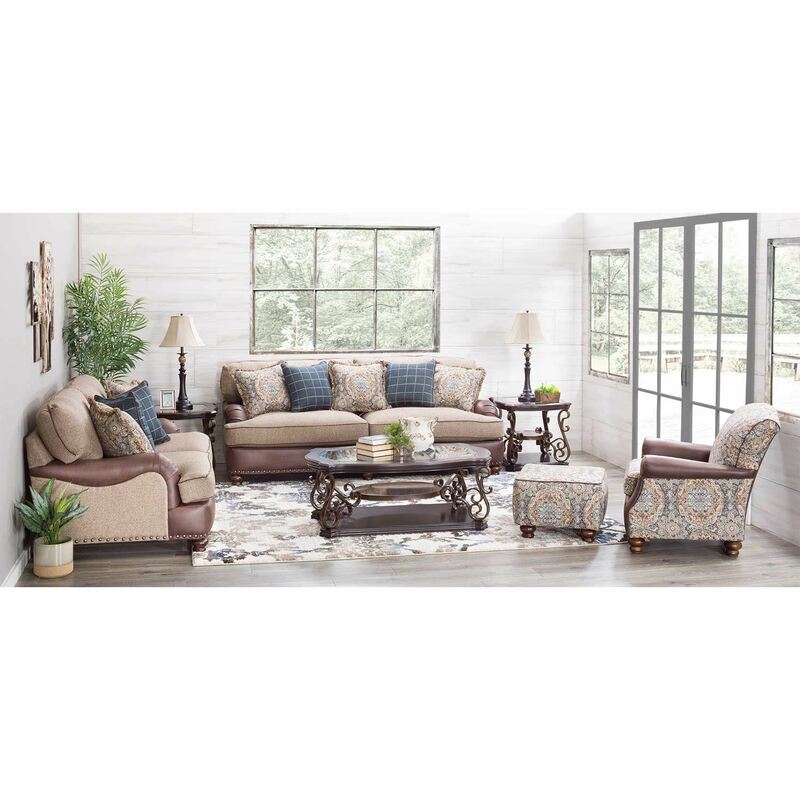 Celebrate a pairing of modern comfort and traditional style with the Brewhouse Accent Chair by Corinthian Fine Furniture. 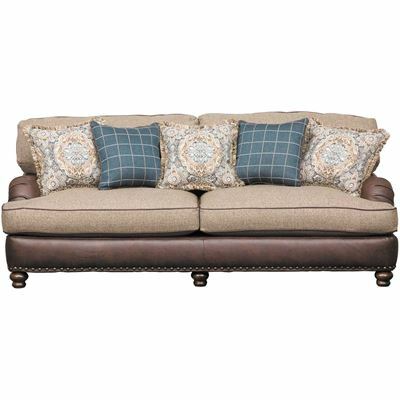 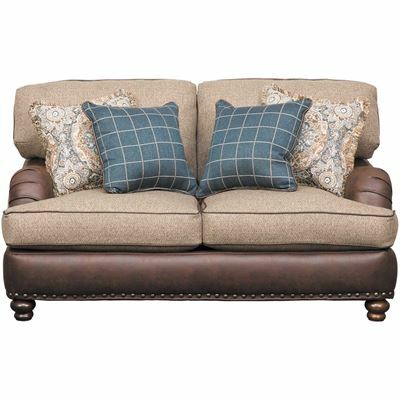 Brewhouse Accent Chair from Corinthian Fine Furniture. 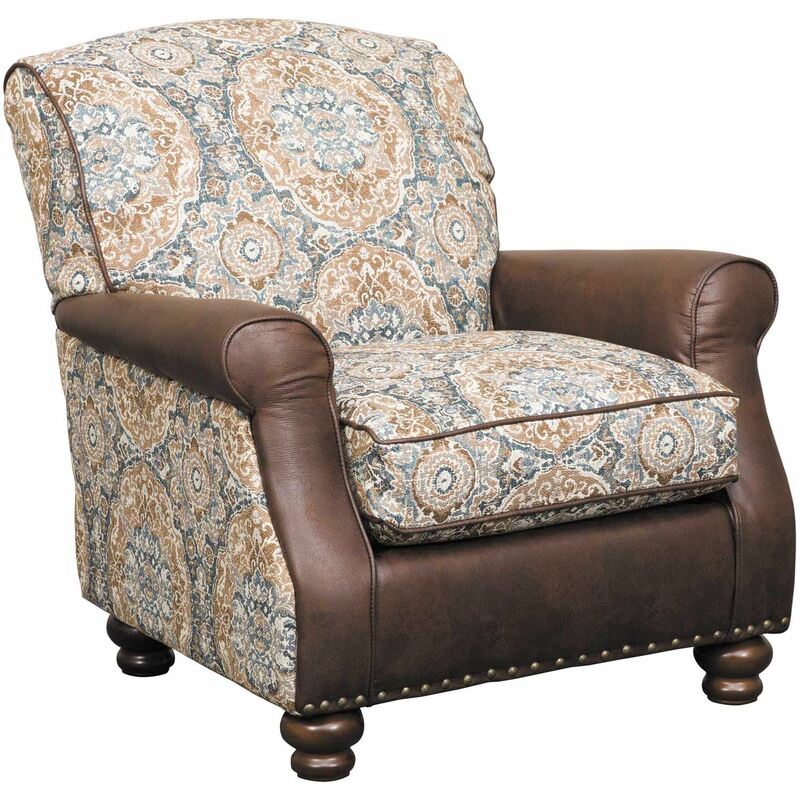 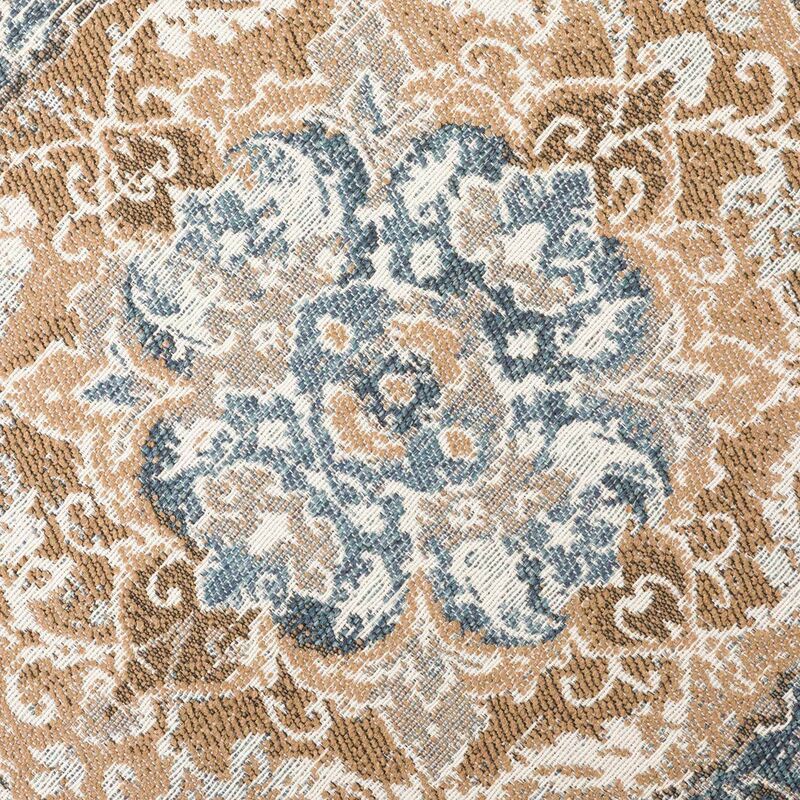 Chair is covered in a two-tone paisley printed 93% polypropylene, 7% polyester cover with a chocolate polyester for the arms and front rail.